Our Fourth Grade team have beaten Easts comprehensively in the Semi Final to move through to a home Final at Hurstville. Batting first the young Saints top order of Vella (28), Serra (38) and Jamieson (30) got the team off to a very useful start but it was Blake Newport who put his hand up and got the job done. Newport batted for a whopping 230 balls in scoring a match winning 86. He was out early on Day 2 but had set up his team with some wonderful partnerships including a crucial 109 7th wicket stand with the increasingly reliable Vasi MacMillan who himself scored his first half century for the season with 50 off 102 balls. The Saints batted into the 2nd day to finish with 367 off 114 overs leaving Easts a small chance of victory. The boys were solid in the field bowling to some great plans. Declan Hart showed his improvement this season with the key wickets of No3 and 4 to have Easts in an early spot of bother. Easts were eventually all out for 202 from 59.4 overs with Hart finishing with 3-25 (10.4) supported well by Rod Krause 3-33 (10) and Dean Cassar 2-37(6). Josh Vella had a very tidy game behind the stumps with 2 catches and a very tidy stumping. In the other semi final No.1 ranked team Sydney Uni were toppled in a close one by Manly. This gives St George the higher ranking and the home ground advantage. Key points going into the big one for captain Steve Wark and his boys. 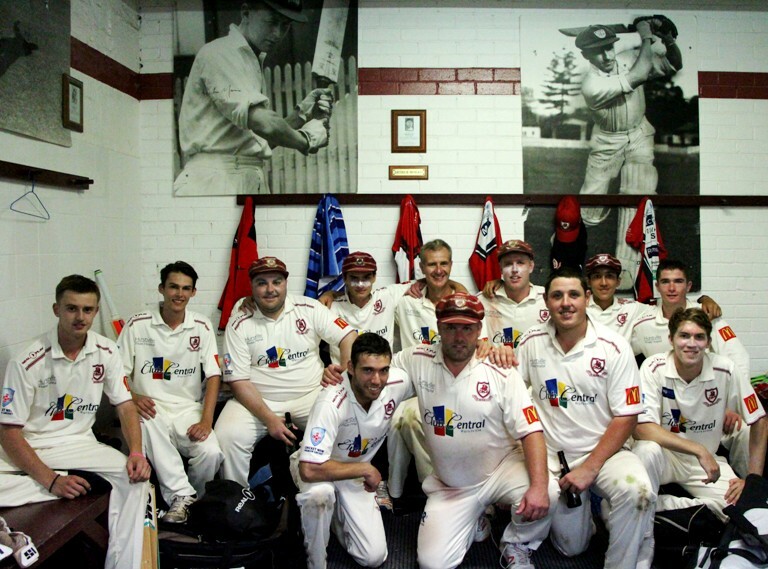 We take this opportunity to wish the team luck and urge all our supporters to get to Hurstville Oval this Saturday and Sunday to cheer our boys along in the final game for the 2018-19 season. Both days will start at 10.30am.